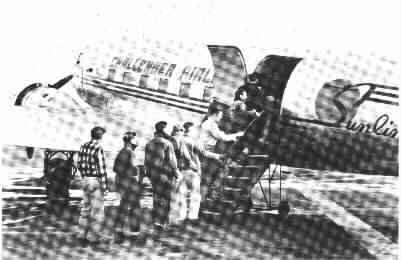 Challenger began life as Summit Airways, a Wyoming corporation, organized on December 31, 1941. 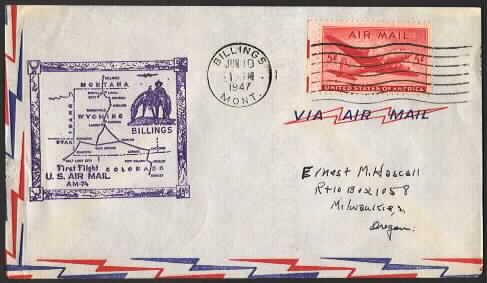 Summit limited its activities to flight instruction, buying and selling airplanes, and non-scheduled air carrier service. The founders and owners of Summit were Charles W. Hirsig II, President until his death January 15, 1945, Fred M. Manning, George J. Forbes, and Fred O. Rice. George J. Forbes was the second President from January, 1945 until February, 1946 when George W. Snyder, Jr. took over. 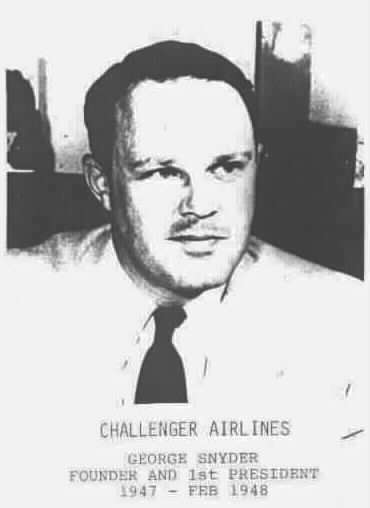 Donald A. Duff became Challenger's fourth and final President in Feb. 1948 and served until the merger June 1, 1950 when he became a Vice President at Frontier Airlines. 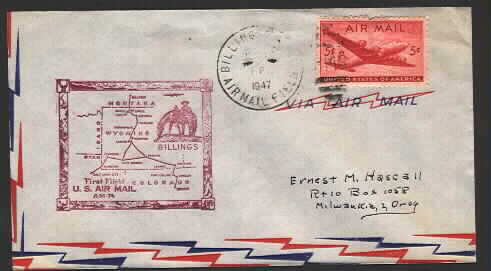 The CAB granted a certificate on March 28, 1946 to operate air carrier service from Billings to Denver to Salt Lake City with intermediate stops. 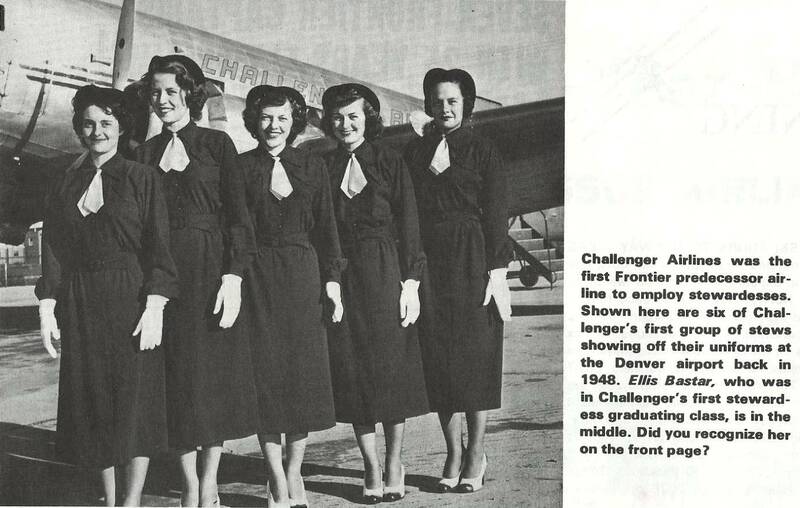 The name of the company was changed to Challenger Airlines on February 2, 1947. 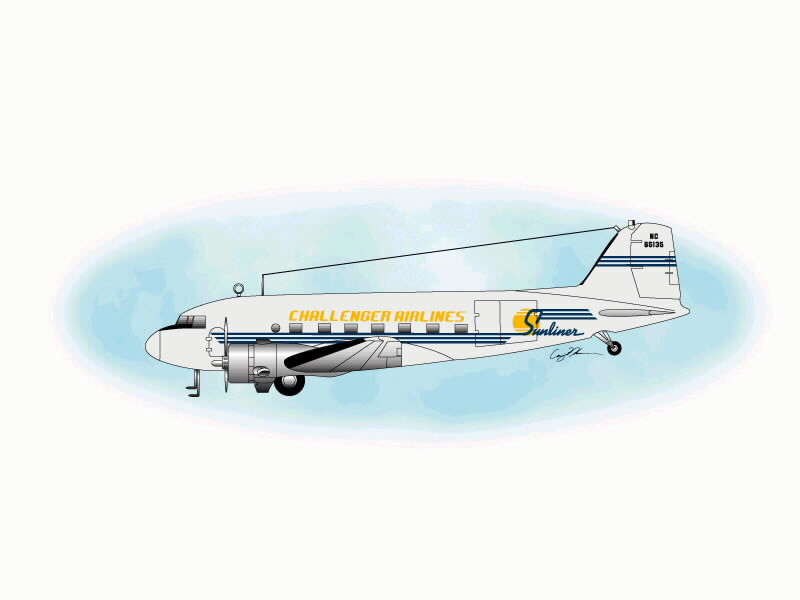 On February 8th a down payment of $25,000 was made to Capital Airlines for two DC3s (NC65135 and NC65385) and air service started on May 3, 1947 from its base of Salt Lake City. 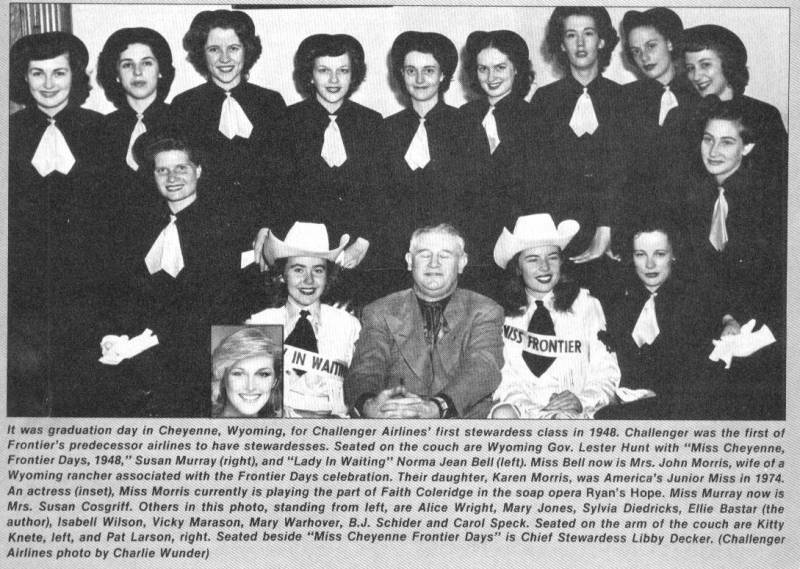 The first route was to Denver with stops in Kemmerer, Rock Springs, Rawlings, Laramie, and Cheyenne. That summer another route to Billings was started with stops at the Big Horn Basin. 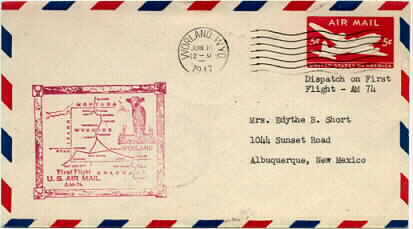 A third route started the same time linked Billings and Riverton to the system. 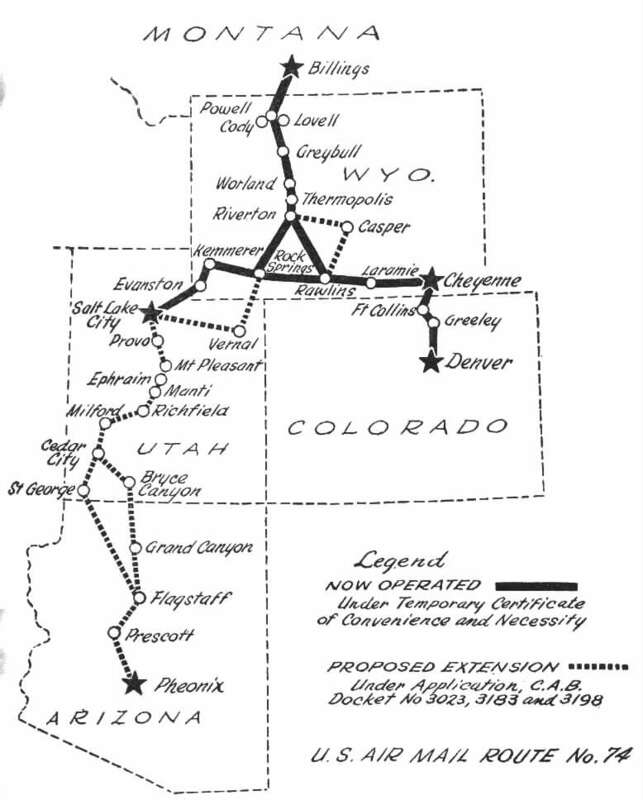 By then ten Wyoming communities had air service to Denver, Billings, and Salt Lake City. 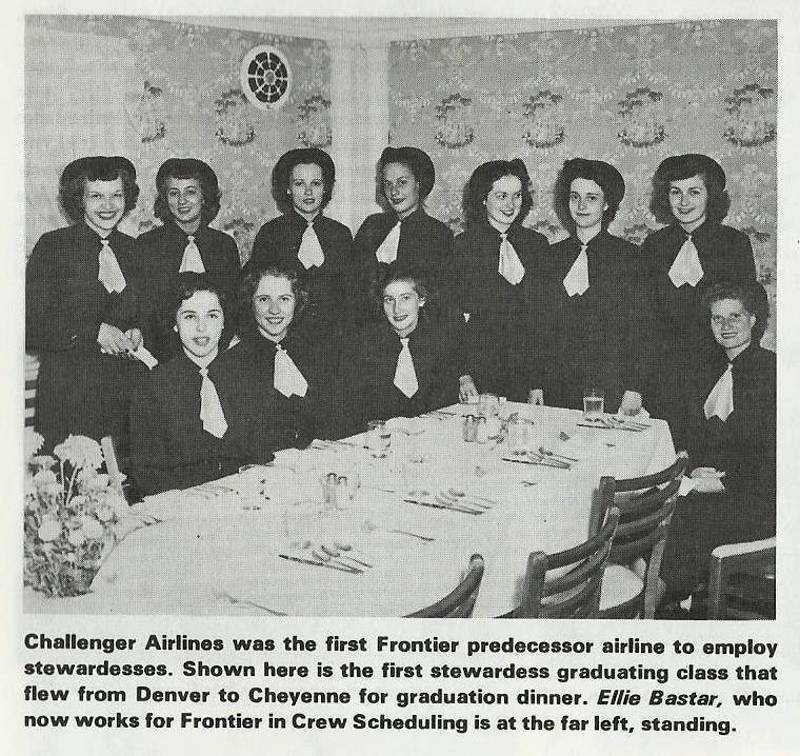 Challenger's service was a godsend in the blizzard of February, 1949 when they flew thousands of passengers and tons of food and supplies throughout their system. 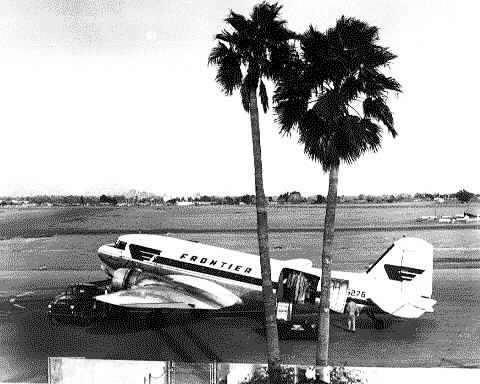 By 1948 their headquarters had been moved to Denver and they had started sharing various functions such as maintenance and sales with Monarch Airlines. 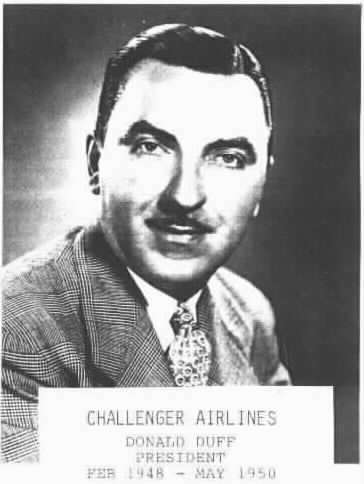 Then Monarch bought controlling interest in Challenger in December, 1949 and the merger became effective June 1, 1950. 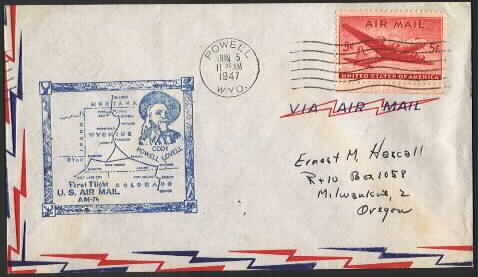 Arizona Airways was also included and the three-way merger formed Frontier Airlines. 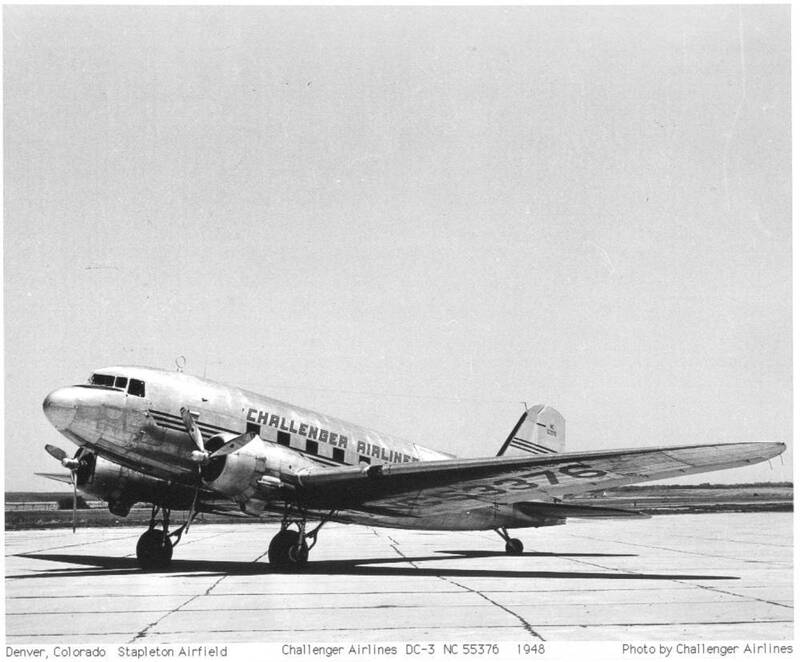 The airline had four DC3s at the time of the merger: NC65135, NC65385, NC53376, and NC65276. 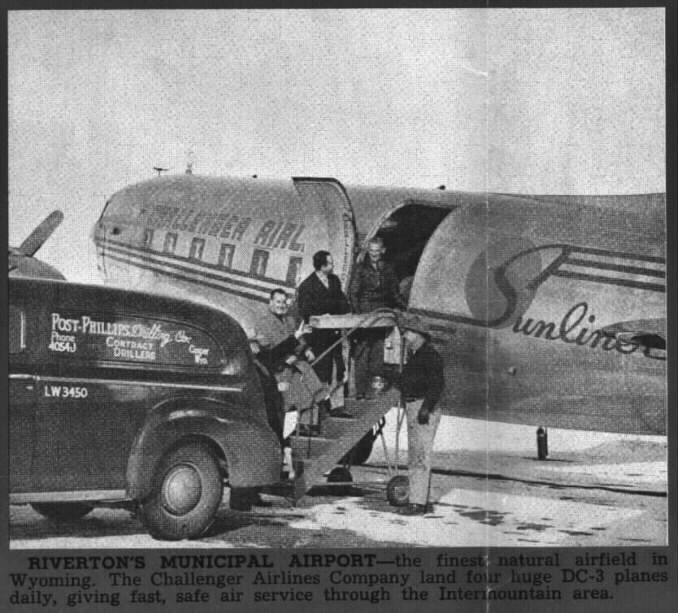 They became Frontier Sunliners Montana, Colorado, Wyoming and North Dakota. While with Challenger this aircraft overshot a runway at Salt Lake City, hit a car & injured four people in it. At Frontier, it had several accidents. See the Frontier website for the whole story. Photo about 1945. 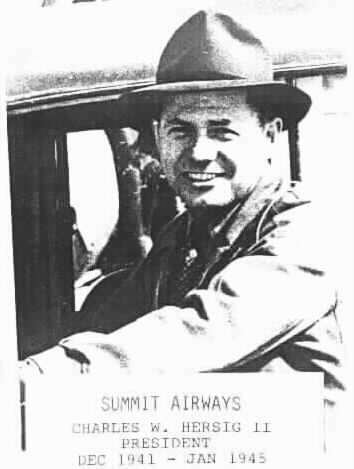 Summit became Challenger in 1947. The story of the "Suicide 3"
Special thanks to Ken Schultz, Billy Walker, Jack Schade, Jim Hirsig and E.P. Lietz for their assistance. Thanks to Craig Hansen who created the nameplate & DC3 graphic at the top.